We take a look at the budget allocation of South Africa's various national government departments. We also investigate which government departments have spent more than they should have so far in the financial year and which government departments have not been using the money allocated to them by the National Treasury? So which South African government department has the biggest budget? 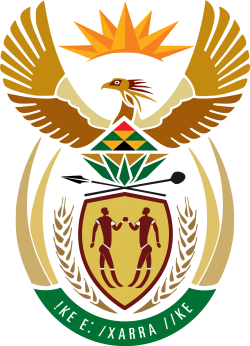 So ever wondered which South African government department has the biggest budget? Perhaps the police with all its members? Or the department of health with all its hospital staff? Or what about the department of basic education that has to pay school teachers and principals to educate the masses? Or what about the department of social development paying grants to millions and millions of people (even though we only have 4.9 million personal income tax payers in South Africa). The list below shows all South Africa's national government departments as well as their allocated budget. (The number on brackets shows the percentage of its allocated budget spent during the first 9 months of fiscal year). The benchmark should be 75% spent as 9 out of 12 months is 75% of the months completed for the fiscal year. So of the R 814 508 927 000 (thats right R814 billion) budget that is allocated to ALL national government departments, the department of social development, the department responsible to paying grants to social grants recipients, received a budget of R172.9 billion (this makes up 21.2% of the total budget allocated to national government departments. If anyone ever argued that South Africa is not a welfare state, show them this. We only have 4.9 million personal income tax payers in South Africa and our department of social development received 21% of the total budget allocated to national government departments. This department's budget is almost double that of the Police, whose budget came in at R91.8 billion. Since we like Statistics and numbers, we will compare the budget of social development with that of Statistics South Africa. The department of social development's budget is 76.5 times the budget of Statistics South Africa, the government department tasked with publishing all official statistics including CPI, PPI, GDP, Census and population estimates, employment and unemployment figures etc. We are a welfare state. And the problem South Africa is facing is that the tax net is not broad enough, so those paying the bulk of the personal income tax is carrying a large number of people living on welfare in South Africa. This is totally unsustainable and needs to be addressed. Otherwise thouse paying the taxes will leave the country and go somewhere where they feel their tax money is better spent on providing services to citizens, instead of paying grants to citizens.